Jobs at Shree Placement - Jobs Vibhaga - Dedicated job portal for unemployed job seekers. 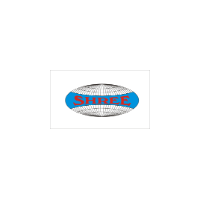 Founded and established in 1994 in New Delhi, Shree Placement Services provides unmatched recruitment services which help in the growth of the organizations either in the state or the federal republic. The objective here is to grow and share business by being super professional and catering to a high level of talent pool with high level of unmatched caliber and high business acumen. Our Head hunters are dedicated to provide the human resource support that helps businesses in achieving their vision.